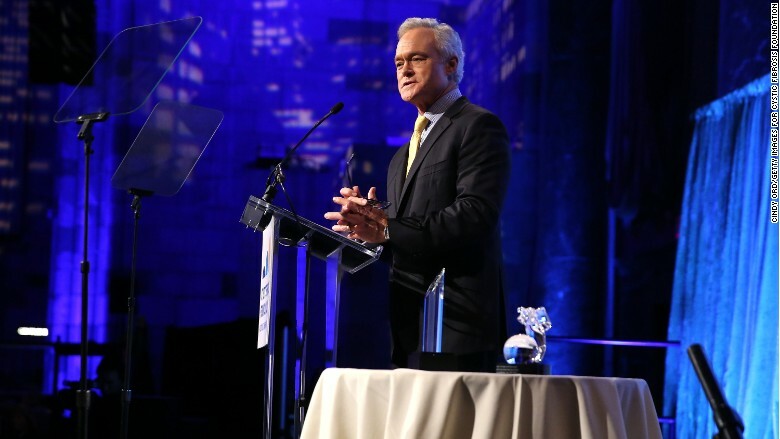 "Goodbye and good luck," Scott Pelley said as he signed off from the "CBS Evening News" on Friday night. Pelley is the longest-serving of the big three nightly news anchors. He has held the CBS anchor chair since 2011. But the network announced last month that he would be leaving the post. He had a short farewell message for viewers on Friday night. "This is my last broadcast for the 'CBS Evening News,'" he said. "We hope this has been something of a lighthouse for you to help you with your bearings in a stormy world." Pelley did not allude to any disappointment over management's decision to move him off the broadcast. Behind the scenes tensions spilled into public view last month when Pelley had his office cleared out. He was on assignment in Syria for "60 Minutes" at the time. So that's how the word prematurely leaked out that Pelley would be moving to "60 Minutes" full-time. Up until now, Pelley has been splitting his time between the two broadcasts. When the move was officially announced, CBS News president David Rhodes said in a statement that the newsmagazine "requires Scott's full contribution." Pelley told viewers on Friday night that Anthony Mason would helm the nightly newscast starting Monday. He thanked CBS News employees and paraphrased founding father James Madison to say that "freedom of the press is the right that guarantees all the others." "The stakes are that high," Pelley said. Before and after the broadcast, Pelley's two chief rivals, NBC's Lester Holt and ABC's David Muir, both tweeted a tip of the hat to him. Holt wrote, "Best to @ScottPelley on last @CBSEveningNews broadcast. A great newsman and competitor. Look forward to your continuing work on 60." Muir called Pelley "a true gentleman who set the bar high," adding, "Will miss seeing you in the monitor at 6:30. I'll be watching you on '60.'" With Pelley's departure, Muir becomes the longest-tenured of the three commercial network nightly news anchors -- and he's only been in the chair for two years and nine months, which underscores how much turnover there has been lately. Muir succeeded Diane Sawyer in September 2014. Holt took over when Brian Williams was hobbled by scandal in February 2015. CBS says Mason will be the "interim anchor" after Pelley. Rhodes is said to be in no rush to select a permanent successor.